In principle, molecularly imprinted polymer science and technology provides a means for ready access to nano-structured polymeric materials of predetermined selectivity. The versatility of the technique has brought it to the attention of many working with the development of nanomaterials with biological or biomimetic properties for use as therapeutics or in medical devices. Nonetheless, the further evolution of the field necessitates the development of robust predictive tools capable of handling the complexity of molecular imprinting systems. 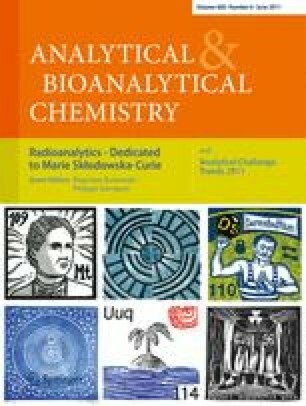 The rapid growth in computer power and software over the past decade has opened new possibilities for simulating aspects of the complex molecular imprinting process. We present here a survey of the current status of the use of in silico-based approaches to aspects of molecular imprinting. Finally, we highlight areas where ongoing and future efforts should yield information critical to our understanding of the underlying mechanisms sufficient to permit the rational design of molecularly imprinted polymers. The financial support provided by the Swedish Research Council (VR), the Crafoord Foundation, the Swedish Knowledge Foundation (KKS), and the Linnaeus University is most gratefully acknowledged.